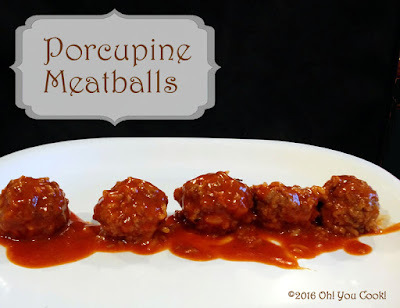 I wanted to serve another batch of those amazing porcupine meatballs from just the other day, but one of our guests was not a fan of tomato sauce in any form. Not even ketchup (yeah, what's up with that???). Luckily, another sauce recipe happened to be waiting in the wings. 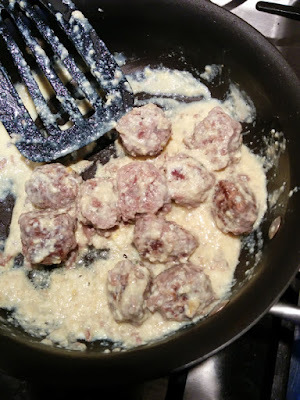 Unluckily, I made a slight error during the cooking procedure and the sauce came out looking quite gross and disgusting. But happily, it tasted quite delicious. When you make this sauce, try not to make my jaw-dropping mistake. Hey, remember me? Have you ever had one of those months where everything fell into place? Where you had plenty of time to do anything you set out to do and nothing unexpected jumped into your path?